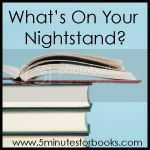 It is the fourth Tuesday of the month which means it is once again time for “What’s on Your Nightstand?” at 5 Minutes for Books. Yesterday also marked the first day of Fall and, therefore, the beginning of the 2008 Fall Into Reading Challenge hosted by Katrina at Callapidder Days. Being the lazy blogger that I am, I decided to kill two birds with one post. A Wind in the Door by Madeleine L’Engle – I first read A Wrinkle in Time in the fifth grade and wasn’t impressed; I didn’t really get into the fantasy genre as a child. About a year ago I decided to give it a second reading and picked up a copy at the bookstore. This time around I really enjoyed the book and decided to read the entire Time Quintet. I’m just now getting to the second book. Stardust by Neil Gaiman – After reading Neverwhere last month (see below), I’m really looking forward to this one. Matt says it is reminiscent of C.S. Lewis and Tolkien. Apparently I’ve embraced the fantasy genre as an adult. The Pact and Keeping Faith by Jodi Picoult – I’m excited to pick up more of her work since I liked My Sister’s Keeper so much. Since the August edition of “What’s on Your Nightstand?” I’ve completed three books, all of which I enjoyed. The Birth House was an interesting read; the storyline follows a midwife in small town Nova Scotia fighting to keep her place in the birth room as modern medicine moves in and the new doc in town seeks to drive her out of practice. The underlying story lines revolve around superstition and it’s effect on people, the women’s rights movement, and small town life during World War I. Overall, I liked the book even though it didn’t flesh out the midwifery vs. modern medicine story in quite the way I had hoped. Neverwhere was, by far, the favorite of the books I read this month. This book reminded me of both The Matrix and the Harry Potter series although there is nothing specific I can nail down and say “this is what makes me think of it.” it is a curious and somewhat disturbing tale of a world existing beneath the streets of London and the people who reside there. If you enjoy fantasy, I would definitely recommend that you check this one out. And finally, Chocolate Beach. There wasn’t anything great about this book, and the constant pop-culture references really annoyed me, but I stuck with it to the end. The characters are endearing, but it is standard Christian chick-lit which I generally find unappealing. This is the kind of book that is perfectly suited for a vacation read. That covers my nightstand and most of my Fall Into Reading list as well. In addition, I hope to read the following books during the challange. That should be enough to keep me busy for a while. If you made it to the end of this post, you are quite the trooper. Happy Reading! The Birth House by Ami McKay – currently reading this one; it was lent to me by my aunt who thought I would enjoy it as it deals with a fictional case of tradition vs. science in the realm of childbirth during the World War I era. Chocolate Beach by Julie Carobini – I saw this one on several blogs a few months ago and thought it sounded good; I requested it from PaperBackSwap, and, voila, it’s on my nightstand. The Center of Everything by Laura Moriarty – I came across this book on Amazon when I was looking at Listmania lists that included Peace Like a River by Leif Enger. The River Why by David James Duncan – I found this at the same time as The Center of Everything. Neverwhere by Neil Gaiman – it isn’t often that I take a foray into the fantasy genre, but I do enjoy books of this nature on occasion; Matt read this one and thought I might like it. Velvet Elvis by Rob Bell – basically we wanted to see what all the fuss is about; Matt read it, and now it’s my turn. My Beautiful Idol by Pete Gall – I’m not generally a non-fiction girl, but Matt said this was a really good book; I’m reading it on his recommendation. I’ll also mention here that I just finished my first book by Jodi Picoult, My Sister’s Keeper. I know several of you read and love her books, but for some reason I always thought they were your general chick-lit and, therefore, wasn’t very interested in checking one out. Let me take a moment to say I’m sorry; I was wrong. This is a very good book about a family dealing with a terminally ill child; it portrays the struggles of the family, the bond of sisters, and the potential outcome of a family where the parents focus so much energy on one child that there is little left for anything (or anyone) else. Ms. Picoult’s writing was engaging, and I found myself being swept into the story to the point that at times I thought I might cry right along with the characters (this is not something that happens to me often when I’m reading). It also made me think about my own children and how our family might look in the face of a similar situation. I will definitely have more of her work on my reading list in the future. So, there you have it; that is what’s on my nightstand. You can always visit the Bookshelf in my sidebar to see a list of books that I’m currently reading, have recently finished, or have on hand to read in the near future; I try to keep it updated as much as possible. If you would like to participate in this book carnival or see what other bloggers are reading check out this month’s “What’s on Your Nightstand?”. A few weeks ago our temperatures reached into the upper-80s and 90s and I ceased to view the season as Spring. However, today is officially the last day of Spring, and, thus, the end of the Spring Reading Thing. All-in-all, I’m quite pleased with the reading I accomplished, especially since we added Boo to the mix about a month into the challenge. Here are my answers to the wrap up questions Katrina posted. Did you finish all the books you had planned to read? If not, why? I finished all of the books on my fiction list and most of the books on my non-fiction list. The two I did not complete were John Adams, which I’ve begun reading, and The Complete Book of Sewing, which I haven’t picked up since the beginning of the challenge. I just don’t have the time or mental capacity for sewing right now. Do you think the challenge helped you read more? Or maybe helped you read books you otherwise wouldn’t have? I’m a pretty avid reader, so I don’t think it necessarily helped me to read more. However, having a set list of books enabled me to keep my reading focused and prevented me from “flailing around” unsure of what to read next. These challenges do help me to read non-fiction as I’m generally unmotivated to pick up non-fiction books. What was your favorite book you read this spring? Least favorite? It’s tough to pick a favorite because I really enjoyed all of the books on my lists this Spring. A Midwife’s Tale and A Thousand Splendid Suns probably stood out the most for their stories and style. I really related to the sentiments portrayed in Stepping Heavenward and enjoyed reading it as well. As for a least favorite, I would have to say Mater Biscuit. It isn’t that I didn’t like the book, just not as much as the others. What did you learn about your reading habits or interests? I’ve always struggled reading non-fiction, but during this challenge I liked the non-fiction that I chose and got “into” the books just like I do with fiction. I learned that I can read non-fiction easily and really enjoy it if it is a topic that I’m interested in. 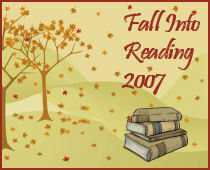 Are you interested in another “Fall Into Reading” challenge this fall? Visit Callapidder Days to see the other participant’s wrap up posts. Thanks, Katrina, for hosting another great reading challenge. I’m looking forward to the next one! Two weeks into the Spring Reading Thing, and I’ve completed two of the books on my goal list. I know my pace will slow when Boo arrives, but so far I’m off to a good start. The first book, The Thinking Woman’s Guide to a Better Birth, was quite informative but exclusively about childbirth and the technology associated with it. I won’t review it here because it probably isn’t of interest to anyone else. Yesterday I finished reading A Midwife’s Tale. This book chronicles the training and career of co-author Penny Armstrong through a series of short stories (each one is a chapter) that come together to give the reader a picture of her life, her struggles, and her clients. A Midwife’s Tale traces the situations and personal development of Mrs. Armstrong that transform her from a hospital midwife, with all of the technology and interventions associated with that setting, to a midwife with her own practice doing only home births. As someone with a science background (I was pre-med in college), I found this part of the story quite interesting. However, the thing that made this book fascinating to me was Mrs. Armstrong’s clientele. Upon the completion of her midwifery training, she chose to move to Lancaster County, Pennsylvania to serve the Amish community there. The book paints a picture of the Amish and their lifestyle from the perspective of an outsider who became intimately acquainted with these people. It details her encounters with their customs and culture in ways that I haven’t read before. Although the story teller is a midwife, the book is not laden with medical jargon and technical information about childbirth. Most of the stories are, obviously, about childbirth, but there is nothing presented that would be offensive or beyond the experience of anyone who has given birth (or even seen one of those birth videos they show in school). 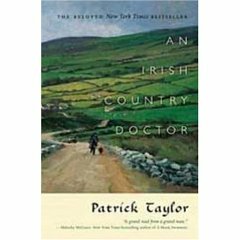 If you have any interest in midwifery or the Amish people and their lifestyle, I really think you would enjoy this book. Spring Reading Thing – let’s get started! 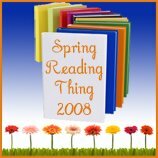 Thoughtfully penned on March 20th, 2008 and generally concerning Blogging News, Goals, Reading, Spring is here! If you picked “e”, congratulations and happy March 20th! I’m having a bit of a tough time with my reading list this Spring. In fact, I wasn’t sure I was going to participate in SRT at all, but since I know I’ll be reading anyway, I might as well set a few goals. My reading will be complicated by a few things: first, Boo’s arrival in a few weeks will definitely impact the time and energy I have to devote to reading; second, my local library is changing locations and is closed for the next couple of weeks (this could make it a bit more difficult to get some of my books); and third, I’m having trouble deciding what I want to read. As always, I reserve the right to add to, subtract from, or alter this list as I see fit. Until the baby arrives, I’ll be continuing my study of the gospel of Matthew through Bible Study Fellowship International; after that, I haven’t yet decided what I will do. The books listed here will be added to my bookshelf in the sidebar and will remain there until the challenge is completed (or I get them read if I don’t finish by June). For more information on the Spring Reading Thing or to view the other participants lists, click on the button at the top of this post. The good – Animal, Vegetable, Miracle by Barbara Kingsolver, et al. I began reading this book back in the summer but had to set it aside when morning sickness set in and I could no longer handle reading about food. I was anxious to pick it back up as I really enjoyed what I had read and was not disappointed by the remainder of the book. This non-fiction book records the efforts of Kingsolver’s family to eat locally for a full year. They accomplished the task by gardening, raising poultry (they live on a farm in Appalachia), visiting the local farmers’ market, and dealing with other farmers in their area to procure the food they needed. I found her stories about small-scale farming, canning, dealing with animals, and working with her neighbors to be both good reading and food for thought. If you are interested in learning more about eating locally (either through growing your own or using local resources), eating organically, or just have an interest in how the modern American food business works I would recommend this book. It is well written, easy to read, and prompted many discussions between Matt and myself. I don’t know that this book is bad per se, but it has been removed from my list. I’m not sure exactly how or when this book was added to my master reading list, but as I looked more closely at the book I decided it didn’t really interest me. I will probably add a book in place of this one; I just haven’t decided on one yet. Have you ever looked at a book numerous times over several months, been excited about reading it when you finally get to it, and then been disappointed when you started reading? That is how I felt with this book. I’ve wanted to read it for a couple of years now, so for a while I tried to trudge through it. When I realized that I had only read about 40 pages in almost two weeks and really had no interest in picking it back up, I knew it was time to let it go. Disappointing, yes, but there are too many books to read to get caught up on one I don’t enjoy.